This diffusion race totally helped me understand what diffusion actually is, and how cells intake glucose, and release glucose. At first my group was very unsure about how much glucose we should put in the dialysis tube. We made a plan to put in more glucose than water, since glucose molecules are fairly large. We decided that maybe the water will dissolve the glucose a little, so maybe the glucose will have an easier way of passing through the tube. We believe that there was human error during this lab, because the tube started to leak, which could have cause the glucose to leak into the water faster. I do not believe that our tube diffused glucose faster though. It seems like if we had to make glucose go into the tube, it would take almost forever for it to infuse into the tube, since it too a while for the glucose to infuse into the tube. I now understand the full concept of diffusion! You can see live tweets of the whole lab here! 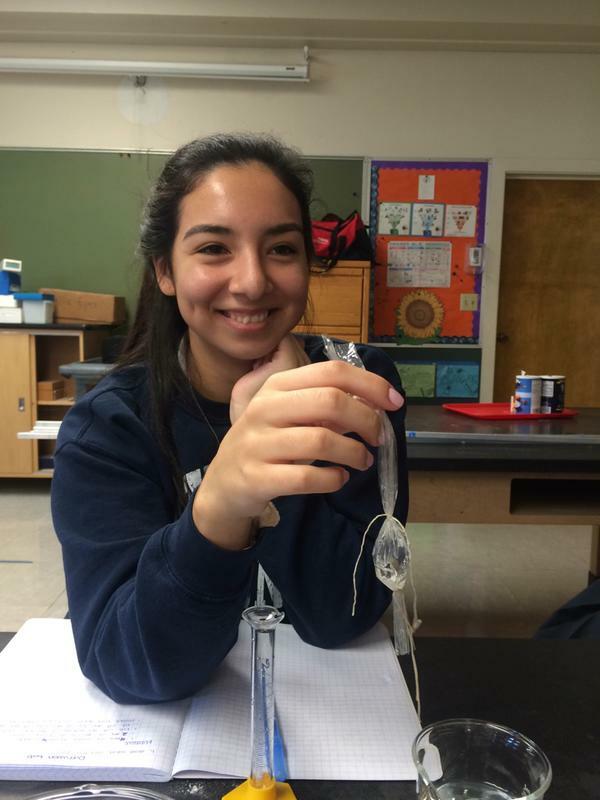 Krystal holding the dialysis tube with glucose and water in it!